Hey, hey! Happy Monday! My Whole30 challenge ends tomorrow! Can you believe it's been 30 days already? It feels like I was just gearing up to start and now, it's over! This has been an incredible journey for me. I feel really proud of the fact that I made it to the end -- I didn't quit! And, I only had one small cheat! I'm more confidence having realized that when I put my mind to something, I can achieve it! I am also thankful for all the revelations (allofthem!). I was really able to differentiate an emotional appetite and real hunger. My sense of taste and smell improved. I've also inspired others around me, like my mom, which I think is pretty cool. This last week was unique because I did the juice cleanse, but once that was over, I went back to the Whole30 way-- monkey salads, lunch club salads, and applesauce for dessert! There's a full breakdown of my final week of Whole30 eats below! Day 22: B: Monkey salad and black coffee L: Leftover PaleOMG roasted red pepper soup with a side of raw green beans; small salad club salad. D: Two chicken lime burger patties with spicy brown mustard, a pickle, and some olives. Throughout the day I snacked on an apple, almond butter, and plantain chips. Days 23, 24, and 25: Nothing but juice! 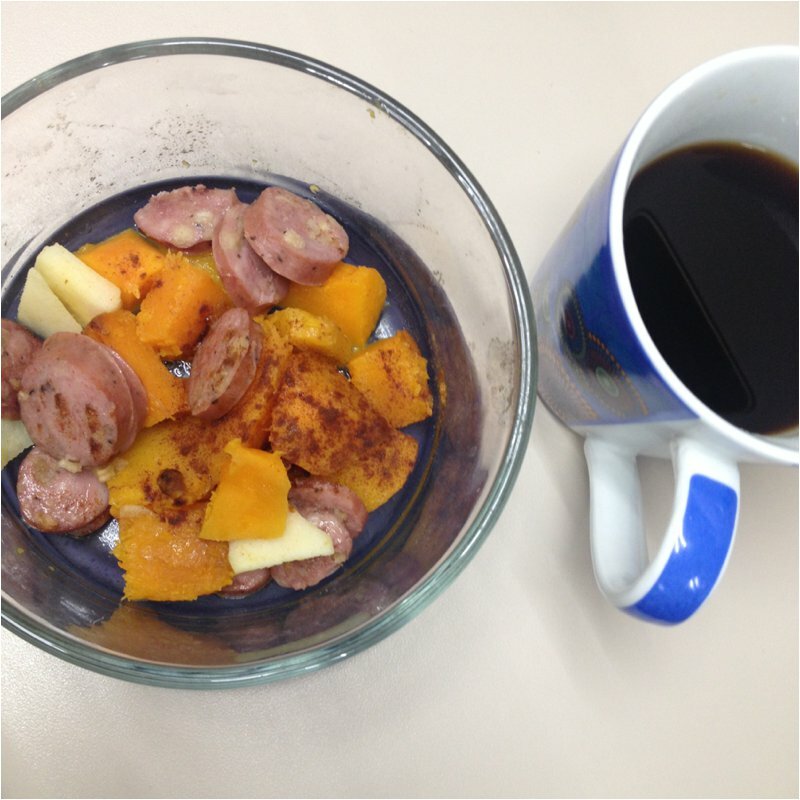 Day 26: B: Roasted butternut squash, sliced apples, and apple chicken sausage with black coffee. 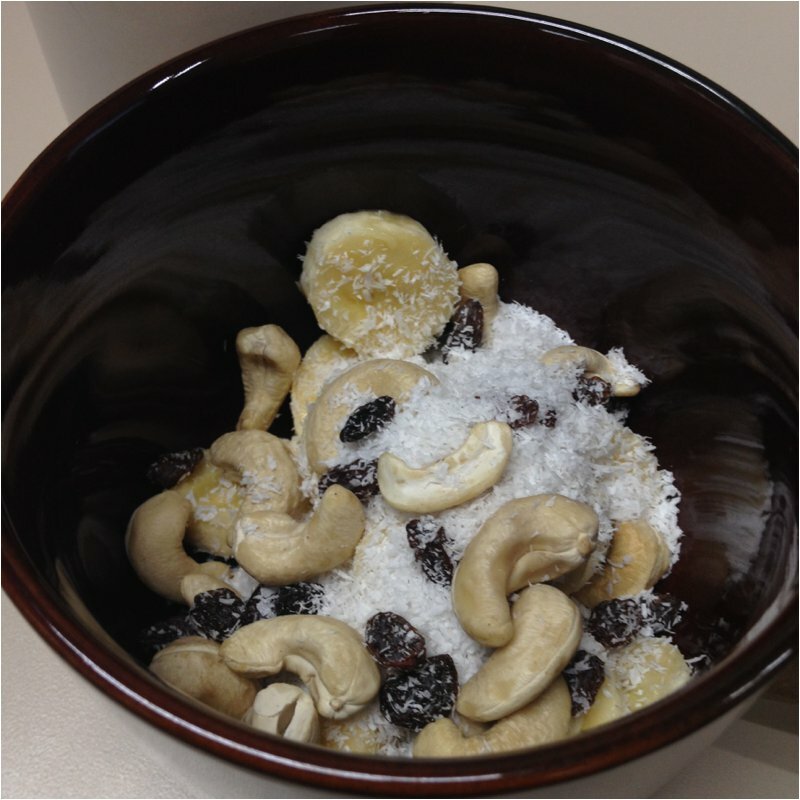 Second breakfast: monkey salad. L: A few slices of turkey breast and some brussel sprouts during a holiday potluck at work. A salad club salad later in the day. CrossFit! D: Date night! We went to Cava Grill at the Mosaic District. I got a salad of "powergreens" and topped it with chicken, the cucumber and olive oil salad, pickled onions, salsa, and olives. I also topped the whole thing with the house-made olive oil and lemon juice and treated myself to a pellegrino. It was really, really good! I almost walked out of Cava because it looked like there wasn't much I could have there: the pita, the rice, the hummus or tzatziki (things I usually love! ), but I decided to stay and try to make it work and I did! It just goes to show, if you want it to work, you can make it work (and the result may surprise you! This turned out to be very tasty)! Day 27:CrossFit! 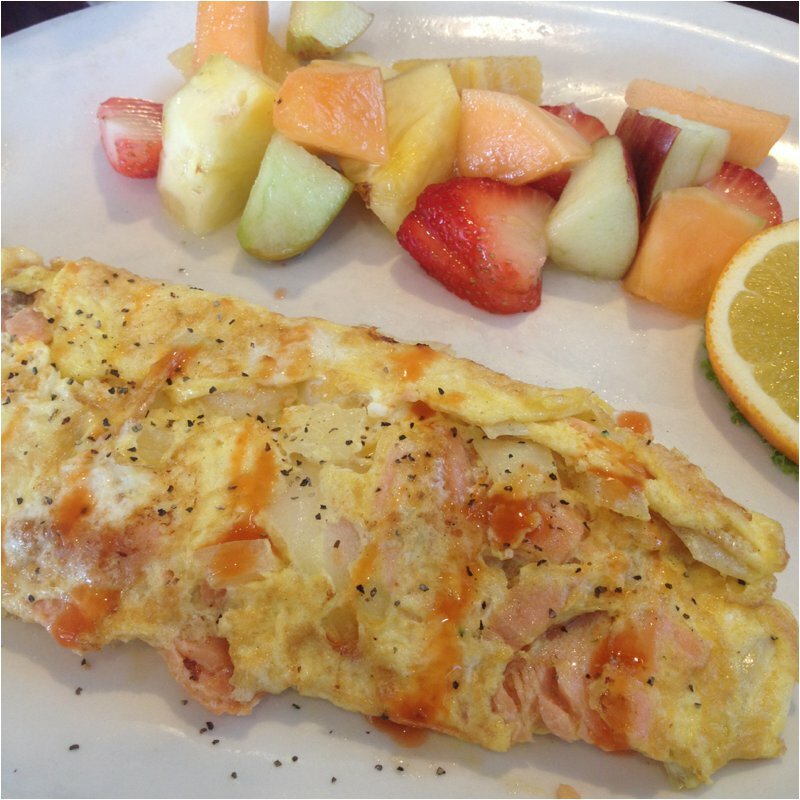 B: Lox omelette and double fruit with black coffee. L: Snacked on a Larabar and some plantain chips while we ran errands. In the afternoon I ate a random bowl of guacamole, chunks of rotisserie chicken and these new sweet potato chips I snagged from Costco. *I realized later they are made with canola oil (the label says and/or saffron oil and/or sunflower oil). The Whole30 program doesn't strictly prohibit canola oil, but they do suggest omitting vegetable oils from food consumed at home (it's impossible to avoid it when you're eating out). Plus, they're chips... so they're processed. Probably not the best snack! D: Salmon cooked with spicy brown mustard and ghee (a new favorite combo!) with a side of broccoli and a half a sweet potato. Day 28: B: An apple with almond butter. Eggs and bacon. Black coffee. D: Chipotle bowl of carnitas, guacamole, lots of lettuce and salsa. I snacked on a Larabar and black olives that evening. What's the first non-Whole30 food I want to have? What about Thanksgiving, what's your plan? I'm going to eat what I want on Thanksgiving (guilt free!) (and actually, we have two Thanksgiving dinners to attend; a second on Saturday) but outside of those dinners, my goal is to stick to Whole30 food principles. I'm also planning to make a banana chia pudding for Thanksgiving. Aaron and I both fell in love with the chia pudding we had at True Food Kitchen a few weeks ago and I think it'll surprise our family to find out this delicious dessert is healthy, too! What Whole30 foods will you continue to eat? Lots! I'm definitely going to have more monkey salads; I love them! Of course my salad club salads aren't going anywhere either. I'll still make all my favorite paleo recipes from PaleOMG, and my chicken sausage egg casserole is a staple always in my rotation. What are your favorite Whole30 recipes and/or snacks? I'm a big fan of Wholly guacamole now; it's so convenient and so good! I loved this acorn squash recipe. I'd like to make it again. I love snacking on black olives now... weird cause I used to not like olives! Oh and, chia pudding! I'm a huge fan of that now! Also, sugar. The number one food rule for Whole30 is to eat foods that "promote a healthy psychological response," and obviously sugar is not one of those foods. In fact, it does the opposite! I'd like to think I could eat it in moderation but if there's a psychological response, that seems like a fine line to walk. I didn't weigh myself before the challenge but I'm pretty sure I was around 155-156 lbs and when I weighed myself for the first time Saturday, I was 150 lbs. So, yes, I lost about 6 lbs. I knew I was smaller because all of my clothes are loose. Shopping recently, I noticed I dropped a pant size, too. What other noticeable differences are there? My stomach is flatter than ever before. My skin is a lot clearer. The breakouts I was worried wouldn't clear up finally did. I started watching GMO OMG (the documentary) last night and realized I still have a lot to learn about food. Technically, if I ate anything with GMOs during the Whole30, which I likely did since GMOs are so prevalent, then that means it was soy or corn fed and therefore, notWhole30 compliant. It's hard to understand these kinds of complexities in the modern American diet, but I hope to continue to educate myself and eat mostly whole (non-processed) foods. What about you; would you do a Whole30? Have you ever read It Starts with Food? Any questions for me about the experience? If you’re just joining me, catch up by reading my recap of Weeks One + Two + Three.